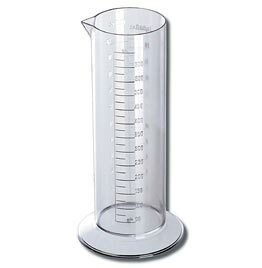 This graduated cylinder is transparent and has 3 clearly marked scales in U.S. liquid ounces (21 oz. ), U.K. liquid ounces (21 oz. 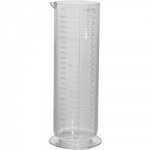 ), and milliliters/cubic centimeters (650ml). 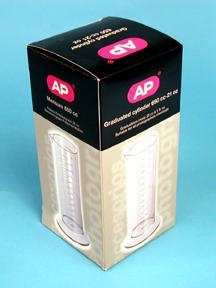 Hash marks are at 1 ounce intervals and 25ml intervals.